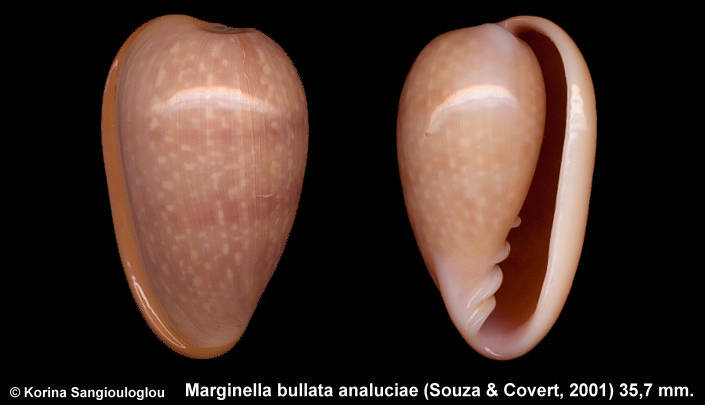 Marginella bullata analuciae (Souza & Covert, 2001) 35,7 mm. F+++ 35,7 mm. $18.00 Very nice. Has a very small defect on the dorsum dose not detract from it's overall beauty.